Considering purchasing new carpet flooring? Educate yourself first. What type of room will the carpet flooring be installed in? Is there direct access from the outdoors? Is there heavy or light traffic in the room? What are the common uses for the room? By being asked these type of questions, the flooring specialist is trying to get an idea of what material of carpet and style would work best for your type of room. The more detailed you are in your answers, the easier it will be to select your perfect carpet flooring. For example, the room has direct access to the outdoors and will have pets and children running around regularly. What colour and style are you considering? Always remember to bring a few samples of fabric from other objects in the room. For example, bring colour swatches of your drapes, wallpaper, furniture, etc. This will help you choose a colour easily when you can see which colours mesh well together. Tip: Choosing the right colour will affect your mood as well. A major point to consider when choosing carpet, is the budget you have set. A flooring specialist will typically as you the following questions to help you find the perfect carpet floors for a price you can afford. In most cases, this will include installation of the carpet floors as well. • What is the size in square feet of the room? • Do you require installation? • Will you be installing the carpet because you are selling the home or are you just renovating? • Do you require waste removal or furniture moving? They are trying to determine what style of carpet you might be interested in. 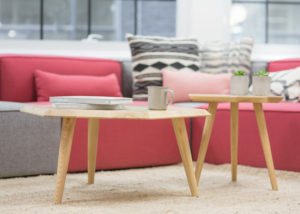 For example, if you are selling your home, you are most likely going to select a neutral coloured carpet in a simple style, since in most cases, the carpet gets replaced by the new home owners. However, if you are redecorating your house, you would want to explore a variety of options available to you. Does it include the under-padding? Does it include removal of waste? Does it include installation on stairs? 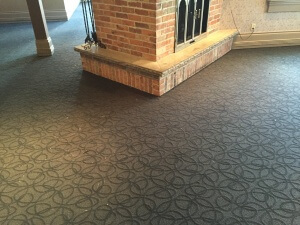 Remember to ask these questions to a flooring expert when choosing your carpet. Hope you liked this guide. Please remember to share this with your friends & family.